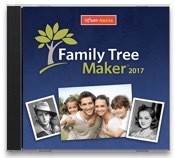 At the end of last month, it was announced that Family Tree Maker 2017 (both Mac and Windows) would possibly be shipping yesterday (March 31st). MacKiev, developers of FTM 2017, announced earlier today that there would be a slight delay. There have been a lot of people who were upset/irritated, but it’s quite clear from the updates MacKiev has posted that the issues were tied into replacing TreeSync with the new FamilySync, and from my experience with software development, they may have been the kinds of issues that were hard to find until the new service actually went live. To MacKiev’s credit, they pulled in 1,000 beta testers last night to check the problems and/or bug fixes – they are taking this very seriously, and are not releasing FTM 2017 until the issues are resolved. People need to understand that they can’t just release FTM 2017 as it is, and then put out a patched version a few days from now – if there are issues with FamilySync, it could cause data corruption when syncing between your offline and Ancestry.com trees. Our shipping review meeting ended at 2:30 am Utah Time without an agreement to release quite yet. A thousand beta testers were called into service yesterday evening, at the end of the second day of testing FamilySync live on the Ancestry servers with TreeSync disconnected. Our quality assurance staff have called for more research into issues raised in beta testing. Our engineers are in the office and are going to spend the day following the trail of the most worrying issues raised in testing yesterday. They may turn out to be nothing, but we aren’t going to release until we’re sure. In the meantime, Ancestry have agreed that existing FTM editions may continue to work until we ship That means that Ancestry hints, search, merge, maps and the Web dashboard will all keep working a few more days. We’ll be sending out an email to everyone who has pre-ordered FTM 2017 a bit later today. .We will keep this page updated with our progress. In the meantime, all those with existing FTM editions may continue to work until we release. At this point, only syncing has been disconnected and Ancestry has agreed to temporarily maintain all other connection functions that will be replaced with FamilySync in FTM 2017. That means that Ancestry hints, search, merge, maps and the Web dashboard will all keep working until FTM 2017 is released. We’ll be sending out an update email tonight to everyone who is waiting for their copy of FTM 2017. This information is dated 4th April 2017. Are there any new updates as todays date is 16th April 2017 and I have heard nothing at all, even after sending emails to all the MacKiev email sites that I could find and not one answer from anybody. See my comments here: https://www.macgenealogy.org/2017/05/03/update-on-family-tree-maker-2017-may-3-first-impressions/ – I think we are very close to a final release. When the upgrade is publicly available, they will be contacting you through the mail. That’s how they have been handling the beta test.